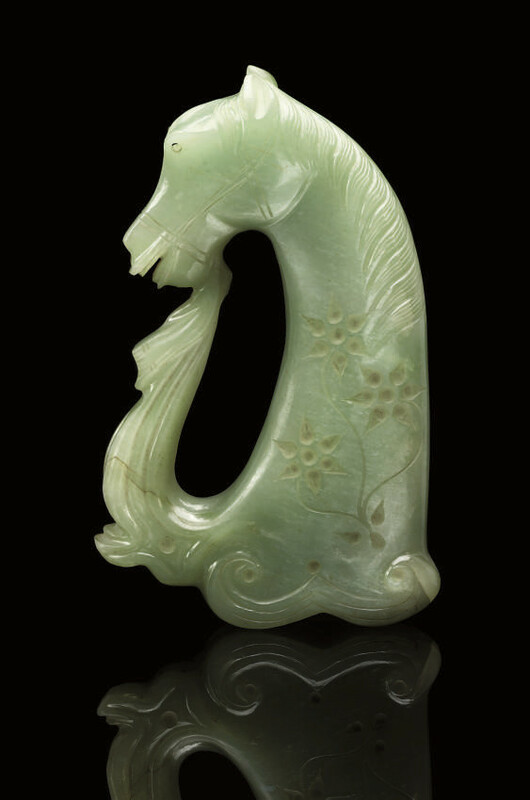 carved in the form of a horse's head, with it's drapery adjoining the lower section of the handle, carved in shallow relief to both sides with foliate stems -- 5¾in. (14.5cm.) long.